Looking for a quick and tasty snack? 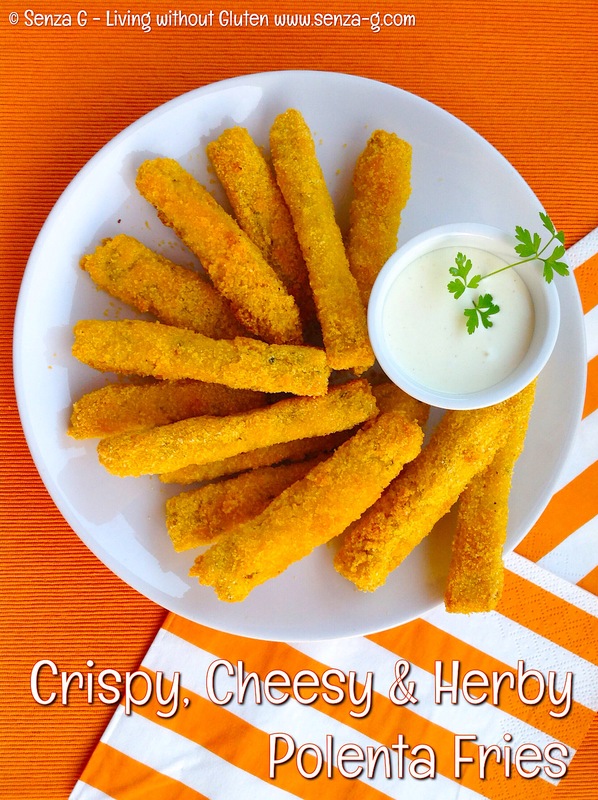 Try these Crispy, Cheesy and Herby Polenta Fries. To make them lighter and guilt free, just bake them instead of frying them! Still as great. The basics of this is just preparing the polenta the usual way, i.e. for one cup of gluten free instant polenta, you will need three cups liquid, which in this case, the more flavour the better, so use vegetable or chicken stock. So, prepare the instant polenta as per package in this ratio. Add salt and any herbs and spices that you love. The sky’s the limit, you can just add Italian Herbs and garlic powder, leave them just cheesy or even make them curried with some spicy curry powder or chilli. You can also add finely chopped chives with parsley or origano….it all depends on your tastes. When polenta is cooked, mix in freshly grated cheese of your choice. You do not have to use just Parmesan. Combine well. Pour the polenta onto a baking tray. Using a spatula, spread the polenta (occasionally dipping the spatula in water so it will make spreading easier) and make it as smooth as possible, about 1.5cm high. Leave to set. When set, slice it into sticks. Prepare a bowl with raw polenta which you can season too if you wish, and drop the sticks one by one and turn so the granules stick to chips. Do the rest with the remaining polenta chips and lay them on a lined baking sheet. You can now either deep fry them or else pop them in the oven. If you are going to bake them then spray the chips with spray oil and put in a preheated oven at 200C. Turn them halfway. Bake until they are golden. Lovely served with a dressing of your choice, even just plain Mayo or Ketchup.